Many people will agree that when it comes to kitchen designs, European designs rule! The modern European kitchen is anything but lackluster and you can expect to find a space that is a real showcase. Whether you are looking for efficiency, aesthetics or functionality, you cannot go wrong with a custom European kitchen. Some good reasons why you need to look beyond the borders for design inspiration include sleek handle- free cabinets, modular kitchens for increased freedom and multifunctional appliances. 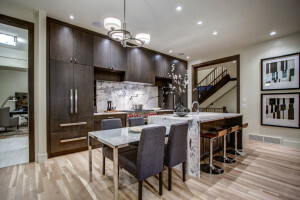 Coming up with a kitchen renovation checklist will make a huge difference and you can be on your way to having your dream kitchen without regrets. There is a good reason why professional designers always begin their renovation projects with a checklist. Having a checklist helps to know where the project is every step of the way and it ensures that you avoid disastrous results that arise from poor planning. Following are some items that need to go on your checklist. The first step in your kitchen renovation should be sorting out the financing. Come up with a budget that will help you to get a good idea of what you can afford. Make sure that your budget is realistic and resolve to stick to it. When you have a budget, you can determine the materials, appliances and finishes that you can choose. Work with the designer to come up with a working budget and remember that you cannot determine the real cost of the project until you know the design. If you need to get financing for your project, make sure that it is approved before the work begins. Another item for your checklist is the layout. Plan the layout and determine whether you want to stick with the existing layout or if you want to change it so that it suits your needs better. There are three basic types of kitchen layouts and they are the U-shaped, L-shaped and galley kitchen, which is parallel rows of appliances and cabinets with an aisle in the center. There are variations to the basic layouts and they include a kitchen island, a breakfast bar and a peninsula. Remember that if you plan to move the sink or to change the lighting, your project can end up becoming quite expensive. Choosing materials will go a long way in determining what your kitchen will look like. Think about your style and décor needs when choosing materials and finishes for your European kitchen. Consider the options available and think how the products factor into your budget. When you know the layout you want, you can visualize the final design and this will help you when choosing materials. Consider issues such as the sort of cabinets you want, whether you want a laminate or granite bench top and the splashback you want. Look at the options available and compare prices of the different products. Before the work begins, find out how much it will cost you to get your custom kitchen. You have to think about the entire project from removing the old kitchen to installing the new one. To make sure that you get the best results, you have to ensure that you get the best professional installation. Working with people who have the relevant expertise is the best way to bring your dream kitchen into reality. Kitchen designers who have experience working on modern kitchens will ensure that your dream becomes reality. It is a good idea to find out how long the entire project will take, as this will affect the cost. Replacing your flooring will help you to get the perfect updated look. There are many flooring materials that work perfectly for the modern kitchen. To achieve the best results, replace the flooring at the same time as the cabinets or cupboards. Fortunately, with the new materials available, the best flooring does not have to cost an arm and a leg and yet it looks great. You should remember to factor in the issue of water resistance when choosing kitchen flooring. Look at the different materials available and talk to a flooring expert about the best options. Your checklist will not be complete without a section on appliances. Most people decide to replace their appliances when renovating their kitchen. Remember that you are trying to achieve the European look and you should look for appliances that will keep with this theme. Whether you are replacing some or all of the major appliances, you can choose products that will complement your design. Remember that the appliances you choose will determine the total cost of the project. Consider investing in high-quality appliances even though they may cost you more. If you are planning your renovation, the good news is that you can get your dream modern kitchen that is within your budget. A checklist will help you to avoid nasty surprises, as the project gets underway.